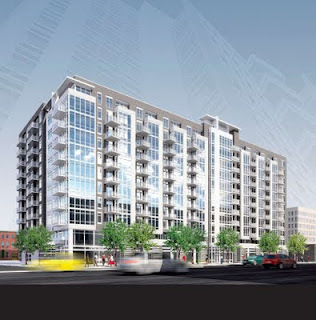 In the May/June 2011 print version of Urban Land magazine, a caption for a rendering of Camden Property Trust’s 1345 South Capitol Street project reads that the WDG Architecture-designed apartment building is under construction. While that may not be the case today, it will be by the end of next week. As I tweeted this morning, a Camden representative told me a ground breaking ceremony will take place on Tuesday, May 17th at 11am. This is a couple of months later than expected when news of the revived project first surfaced in January. 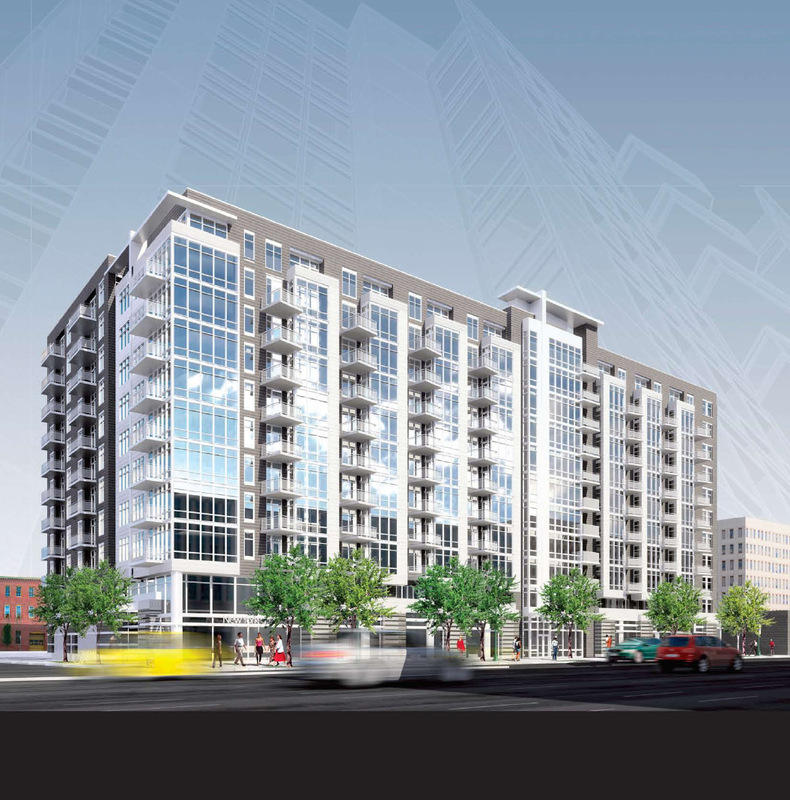 The 276-unit project will be located across the street from Nationals Park, at the northwest corner of South Capitol and O Street. Its location should allow views into the stadium, the Anacostia River, and the Capitol for upper level residents. Some of the amenities planned for the $88 million apartment building include a rooftop pool and deck, below-grade parking for 250 vehicles, and ground-floor retail. Twelve of the units will be set aside as affordable housing. Leasing should begin around the middle of 2013.
really nice. and close enough to the navy yard metro right? i hope something like this helps the rest of that area re-develop. some more useful businesses would be nice. It's about 3-4 blocks from the Navy Yard Metro.